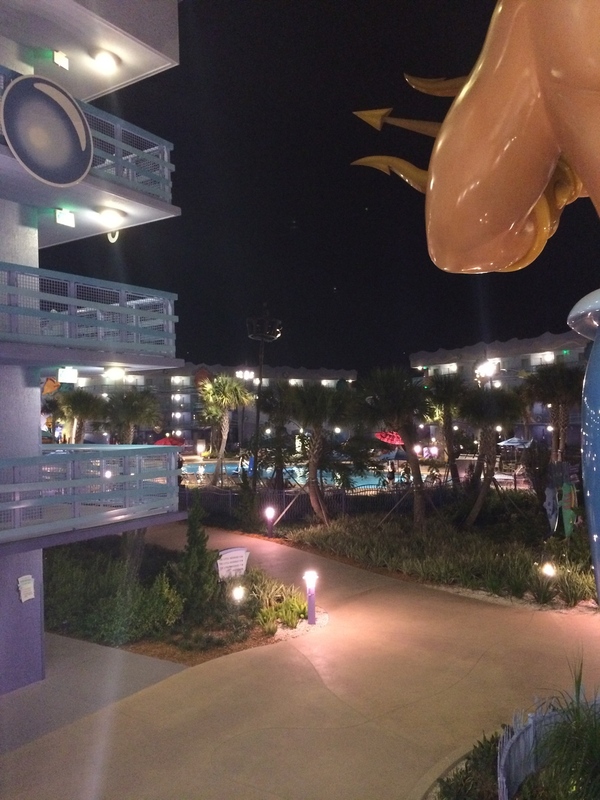 I arrived on Thursday evening to my resort & quickly checked in. 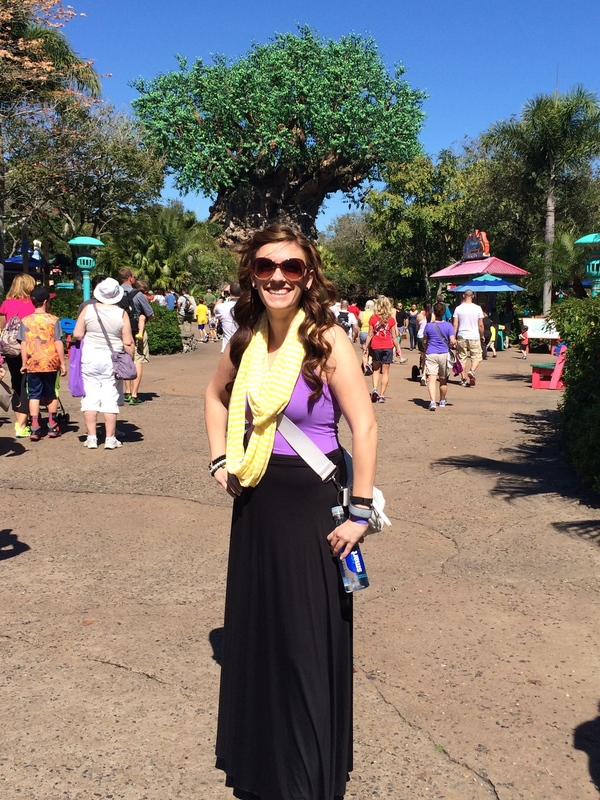 I'd be back later, but I wanted to quickly run to the Magic Kingdom to see if they had a few things: Minnie ears for my 5K, Mickey beaded ears I had seen on Tiffany of MakeupByTiffanyD, and I wanted to pick up a Tables in Wonderland card at the front gate. I had a reservation at 9:45PM at Ohana, so I was a bit constrained on time to make it there for that. Timing was just so that the final fireworks were going off as the bus pulled up and we were walking to the front gates. It was as good as I remember. I think one day when I stay at the Poly, I will just continuously eat these and lay by the pool. I took a quick selfie, and then headed toward the monorail to get to the Polynesian. The monorail for the resorts was not working. I waited about 10 minutes and then decided to hop on the "express" for the Transportation and Ticket Center. I could just walk to the Poly from there. It was a good 10 minute walk to the main ceremonial house, but I enjoyed walking around (despite construction signs everywhere) and sniffing in that artificial polynesian smell they waft in the area. It's wonderful. 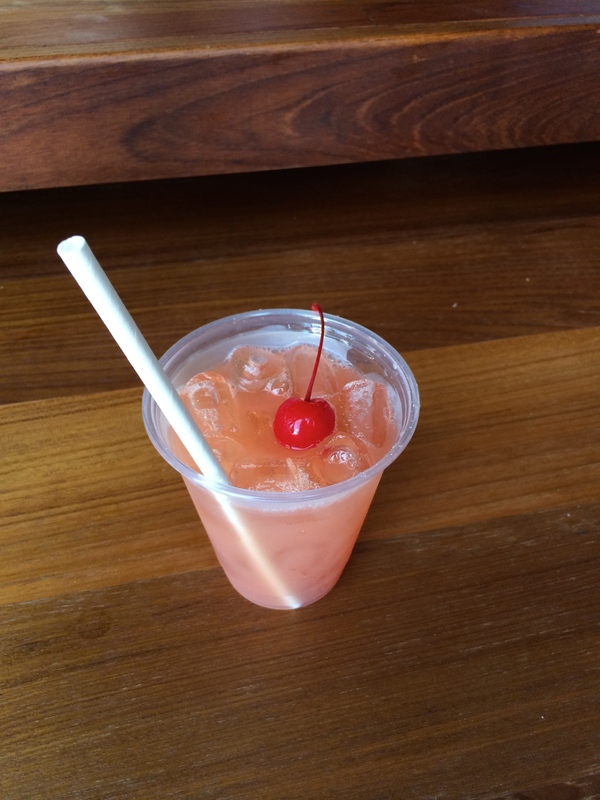 Once inside, I checked in (early) for my reservation and picked a seat at Tambu Lounge to have another favorite, an Island Sunset. Ohana was busy this evening, and even though the restaurant technically closes at 10pm, I didn't get in until 10:05 (for a 9:45 reservation). While I heard another lady complaining that she had been waiting past her reservation time, I was perfectly content. And then came all the yummy food. I've eaten at Ohana several times, it's always enjoyable, so the food was known to me. All except the salad, which they changed to have a passion fruit dressing and oranges in it. It was good, but I did miss the honey-lime version I had become accustomed to (and also loved). After stuffing myself full of all the salad, bread, wings and meat that I could, I had to make sure to save room for the piece de resistance. 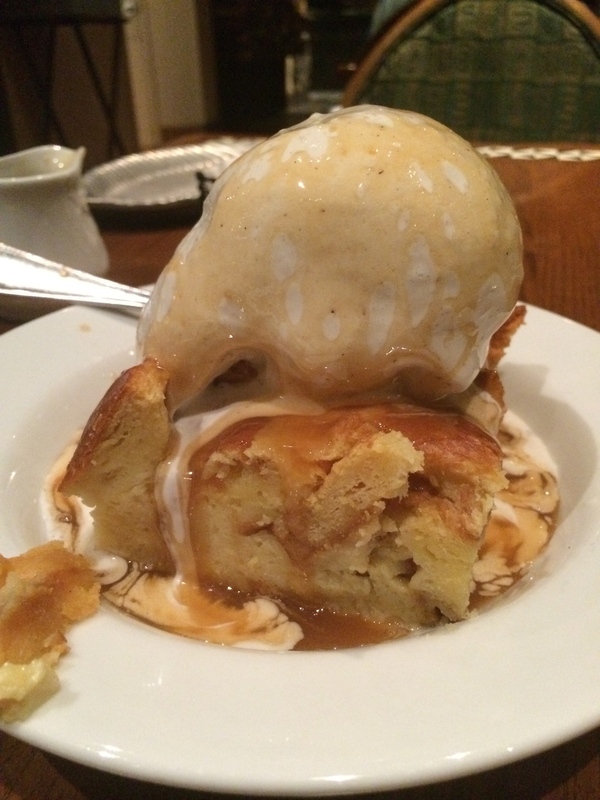 The bread pudding. I've duplicated this recipe at home to good results. It's such a great dessert. After dinner, I headed back to the hotel and was able to fall asleep fairly quickly. I did get a couple shots outside before heading in, though. 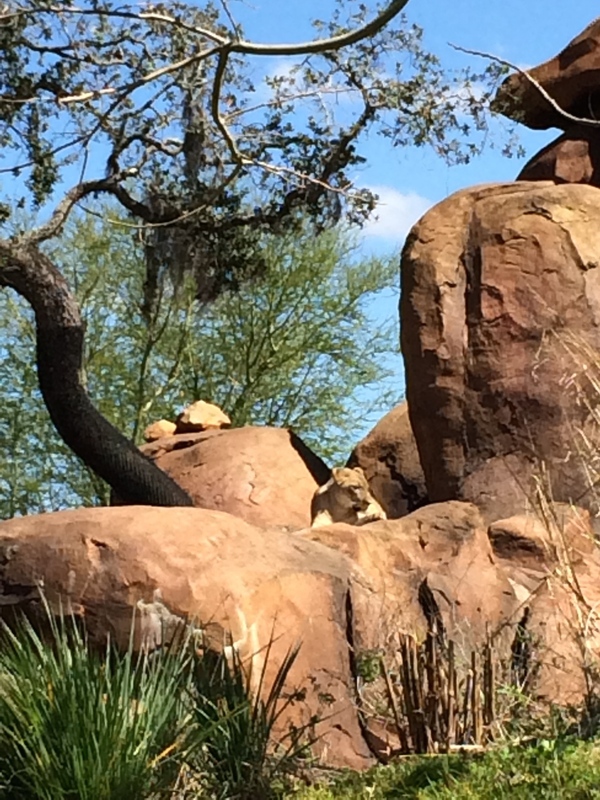 On Day 2, I headed out to the expo in the early morning (see a different post for that), and then headed out to Animal Kingdom once I was finished with that. 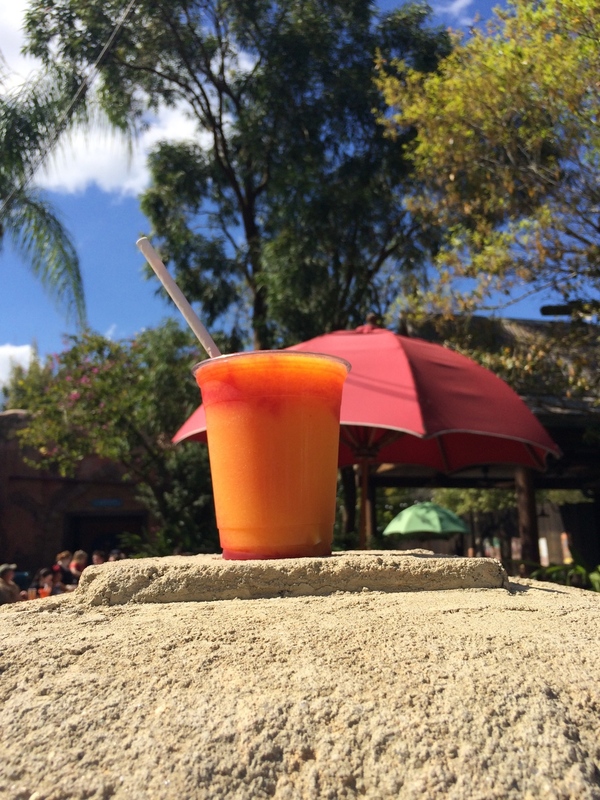 I walked over the bridge to Harambe, picked up a wonderful beverage, and went to wait in line at the Kilamanjaro Safaris. I hadn't set up fastpasses for this day, so I did so on my phone while I was on the bus to the park. They didn't have any that were right away, so I had about an hour before my fastpass for Expedition Everest. 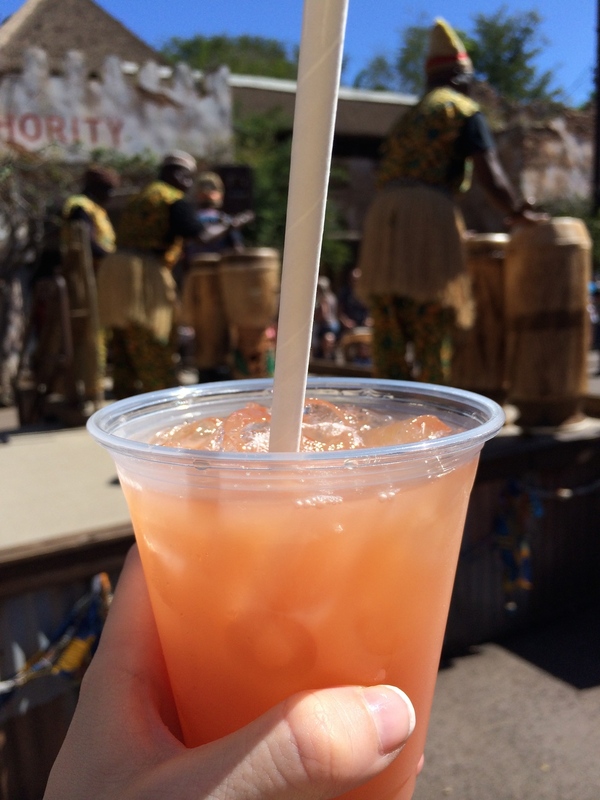 Picking up a drink and waiting in the regular line for Kilamanjaro seemed like the best idea. The safari itself is about 20-30 minutes and we had some good animals out. There was a zebra right near the vehicle and I got a nice video of that. There was also a baby (child?) 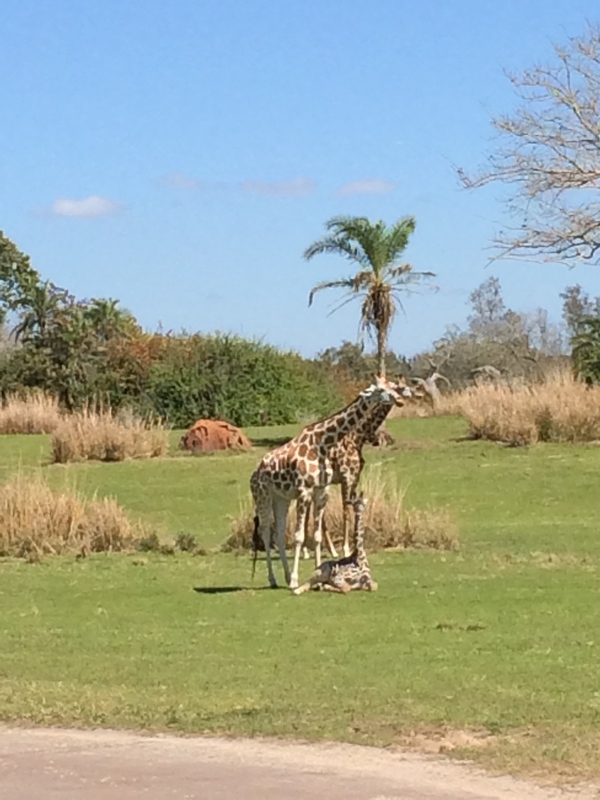 giraffe out. Once finished, I picked up another drink and started on my walk over to Asia and Everest. The second drink went down fairly quick (I'll say it had too much ice in it), so I picked up a third fruity one once I was in Asia. 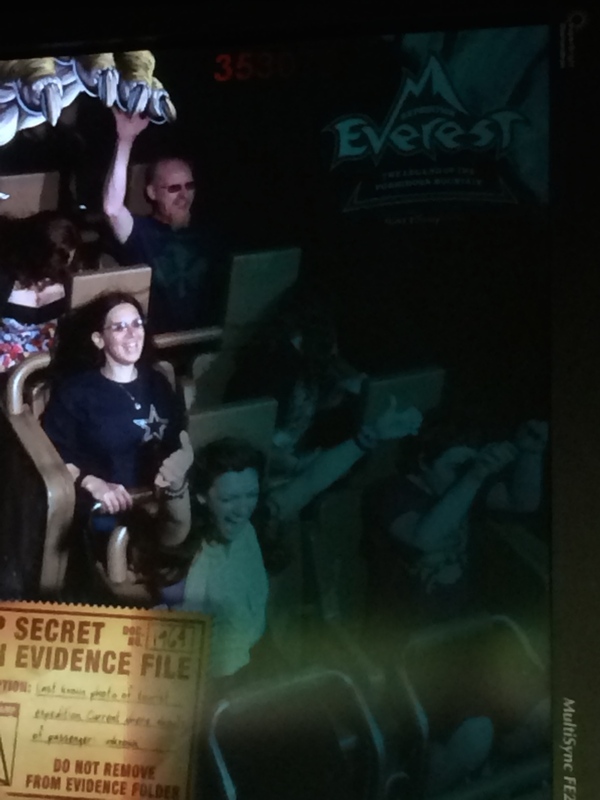 Probably not the best idea to have three alcoholic beverages before getting on a roller coaster, but I survived Everest. It was fun! And actually a little different than I had experienced before because of the drinks. Haha. I made my way back to my hotel to prepare for the evening and my dinner reservations, and took a cab over to the Contemporary. I was running late, and the lines for buses to the Magic Kingdom were just too long. I was ready to eat at California Grill. This would be my first time ever, and it was newly opened in the fall with a tantalizing menu that I had been drooling over from home. Pictures on the Disney Food blog didn't help. They had an extensive wine collection that I perused while waiting on my reservation. They have a lounge area that I was welcome to sit in, too, but I wanted to roam. You can actually come on a first come, first serve basis to sit in the lounge any evening if you aren't able to get a reservation. I started off the meal with an Oven-dried Tomato Flatbread, and continued on with the Kale Salad. 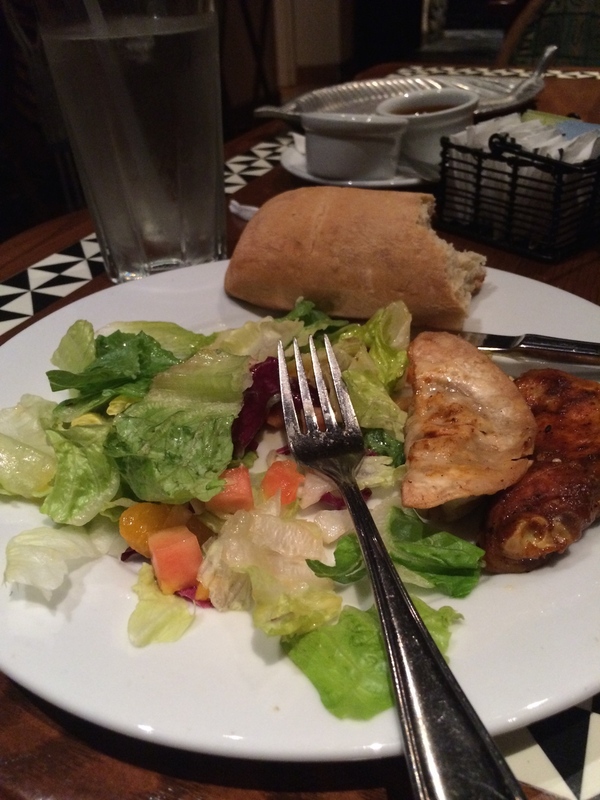 I appreciated that the staff let me have a leisurely meal and didn't rush me out. I had 4 courses and two hours were able to go by so I could see the fireworks at the end of my meal without having to wait around. I was going to choose the Oak-Fired Filet as my main course since it used to come with (before reopening) a truffle mac and cheese, and I kind of wish it still did. But, instead I chose the Bison Strip Loin that came with celery root puree and a bread-like pudding made with a fig glaze. I preferred this to the tomato puree with the filet. The main course was very good. Even though I was very full, I can never leave (or at least on most occassions) without dessert. I decided on the dessert sampler (it had the most choices), and what I was able to eat was delicious (I didn't want to make myself sick of course). There was some kind of almond crescent cookies, a cupcake that I believe was grapefruit, creme brulee, and a liquid apple-like sauce with a rock-candy stick. I ate everything and then sucked on the rock candy while waiting on fireworks. Before leaving, I stepped outside on the balcony to enjoy the view around the area, and also for the Wishes Fireworks show. This was a great view, though I always enjoy seeing them with the Castle at the forefront. 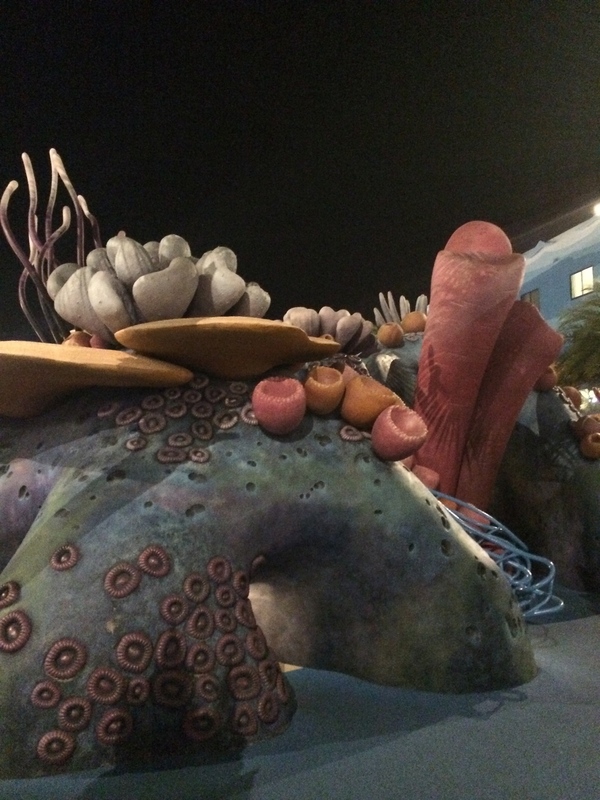 I walked a bit through the Nemo area of the resort when I returned as I was running to Pop Century to store my friends race bags at their front desk. Their flight was delayed and they'd be back later than I was staying up (race in the morning after all, they'd be tired). 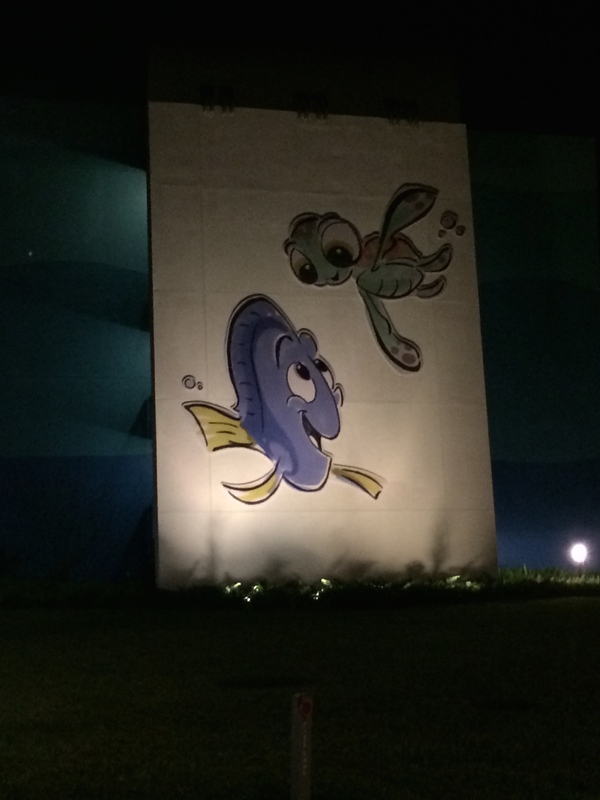 I took a few pictures of my Nemo visit, and went back to my room to sleep since I had to be up early for the 5K.